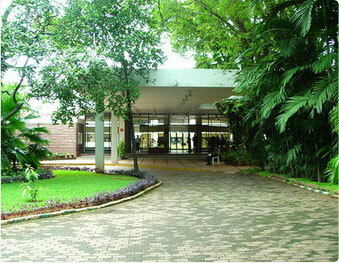 “Indian Institute of Science has always strived to be one of the best in the world. However, at every stage there have been constraints”, said Prof P Balaram, former Director, IISc. 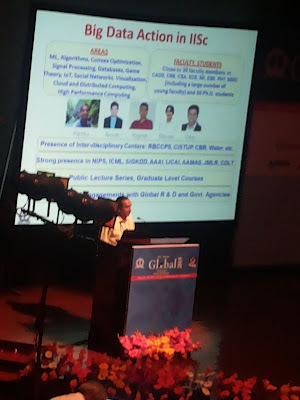 He was chairing a session on ‘IISc as a Global Institution - Reaching the top’ on the last day of the IISc Alumni Global Conference at J N Tata Auditorium, IISc. In reference to Global University Rankings, Prof Balaram said, “Institutes have to run very hard just to retain their rankings over years”. He also mentioned that funding for science is going down in India, and research institutes should brace for difficult times. Referring to rising the political interference in the higher education, he said, “Due to growing political interference, building institutes has become more like a game of snake and ladder”. Noting the growing influence of NRI’s in India’s policy, he urged the IISc alumni who hold top positions in reputed universities abroad to sensitise the Government on how important it is to support an institute which has survived a century. He urged the alumni, faculty, students, and everyone realise that we need to preserve and protect our institutes. Prof Sunil Kumar, Dean, Booth School of Business, University of Chicago suggested that IISc should embrace risk, if it wants to reach the top. 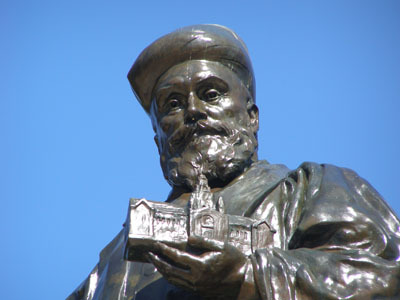 “It should also be distinct from the global institutes, and leverage its research”, he said. Prof Usha Vijayaraghavan, Chairperson, International Cell, IISc took the audience through a virtual tour of formal collaborations IISc has with institutes in USA, Europe, Australia, and Japan. Prof B N Raghunandan gave a presentation on the new IISc campus that is shaping up in Challakere, 220 km away from Bangalore. Many research centres including Solar Power Generation and Research Centre, Climate Research Centre, Centre for Sustainable Technologies, Semi-arid Research Centre, Skill Development Centre, an air strip and a large scale wind tunnel are planned in the new campus. The campus is also running a Talent Development Centre, which has already trained thousands of high school teachers. It will also be home to Centre of Excellence in Science and Mathematics Education, an initiative which caught Prime Minister Narendra Modi’s attention, for which he quickly released Rs 1 crore. The session on ‘Mind to Market’ was organised to discuss ways to convert IISc research into usable products. Prof Chandra Kishen, Chairman, Centre for Scientific and Industrial Consultancy, said “Through the Centre, IISc faculty have shared their knowledge on a variety of projects from cyber security and lunar landing guidance”. Prof Jayant Modak, Chairman, Society for Innovation and Development (SID), said that SID has interacted with about two hundred organisations, and earned Rs 175 crores. According to him, IISc faculty file upto 30 to 40 patents every year. KVS Hari, Professor, IISc, an entrepreneur himself, said, “Some of the IISc faculty think that making money is a sin. That may be one reason why many faculty may not be keen to take up entrepreneurship.” Comparing Indian and Western mindsets, he said, “Failure is not perceived as a disadvantage in the West. However, in India we are not allowed to fail. This mindset should change”. Rajalakshmi Iyer, Chief Technology Officer, pro.com and an IISc Alumnus, suggested IISc to set celar targets on the number of business plans it wants to develop and the number of startups it wants to see in a year. C S Murali, Chairperson, Entrepreneurship Cell, Society for Innovation and Development, IISc spoke about some of the promising businesses that are started by IISc alumni and faculty. He said, “IISc should be aiming to incubate 10-12 companies every year”. Shekhar Kirani, Partner, Accel Partners, said, “In India, providing quality education and healthcare to 800 million poor Indians is a great technological challenge, and an opportunity”. Earlier this year, IISc's Supercomputer Education and Research Centre (SERC) inaugurated the Cray XC40 petaflop supercomputer, christened as Sahasrat. The Centre acquired ‘Sahasrat’, a supercomputer for about Rs 33,000 crore, said Prof R Govindarajan, SERC, IISc. Co-ordinating a session on ‘High Performance Computing and Big Data Analytics’, he said this is the fastest supercomputer in India, and IISc researchers use it for materials research, running climate models, data analytics of biological systems, and computational fluid dynamics. Dr Michael L Norman of University of California, explained his group’s work in supercomputing. 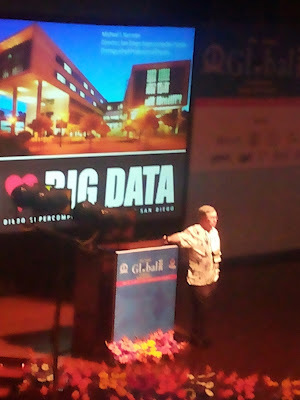 Speaking about big data, he said, “Big data is a commercial phenomenon. The scientific community has the opportunity to leverage some of the technologies behind the revolution”. Talking about IISc, he said, “IISc has spectacular atmosphere. I feel at home here”. Dr Manish Gupta, Director, Xerox Research Centre India, in his talk explained how quality healthcare can be made accessible to all through the use of technology. Commenting on the rising cost of healthcare in India, he jokingly said, “ICUs in India have the most expensive beds in the country!”. Dr Rajat Moona, Director General, Centre for Development of Advanced Computing (CDAC), and an IISc alumnus, spoke about how supercomputers have evolved in India, and also gave a broad picture of the National Supercomputing Mission (NSM). NSM aims to drastically improve the number of supercomputers in India, and SERC, IISc is playing a major role in this initiative. Prof Ram Akella, Director, Center for Knowledge, Information Systems, and Management of Technology, University of California Santa Cruz, and an IISc Alumnus spoke about how India and US could collaborate in the field of big data not only on academic problems, but also on problems relevant to society and commercial establishments. Sudha Murty, Chairperson of Infosys Foundation addressing at the IISc Alumni Global Conference at the J N Tata Auditorium on the topic of 'Reminiscence' recalls her student’s days in the IISc. She said, ““What really matters is what you have done to your fellow human beings”, she said and adds that until I joined IISc, I hadn’t visited Bangalore at all. In IISc, Prof V P Sen Gupta and his wife Nandini were very friendly, and gave me the warmth I needed”. According to her, there were fourteen women students in IISc at that time. 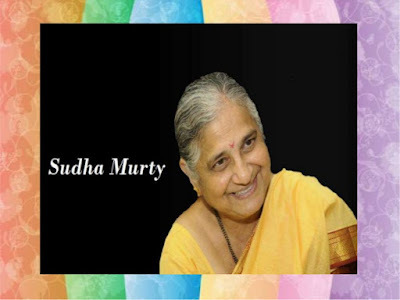 Speaking about science, she said, “The ultimate purpose of science is to improve the life of a common man”. Prof G Padmanabhan, former Director of IISc, shared his days as the Director of IISc. Urging IISc to translate its research so that it can touch people’s lives, he said, “We have a great opportunity to translate. We need to translate science. Science should be applied”. He felt IISc could start ‘Translation Centre for Infectious Diseases’, which can have a great impact. 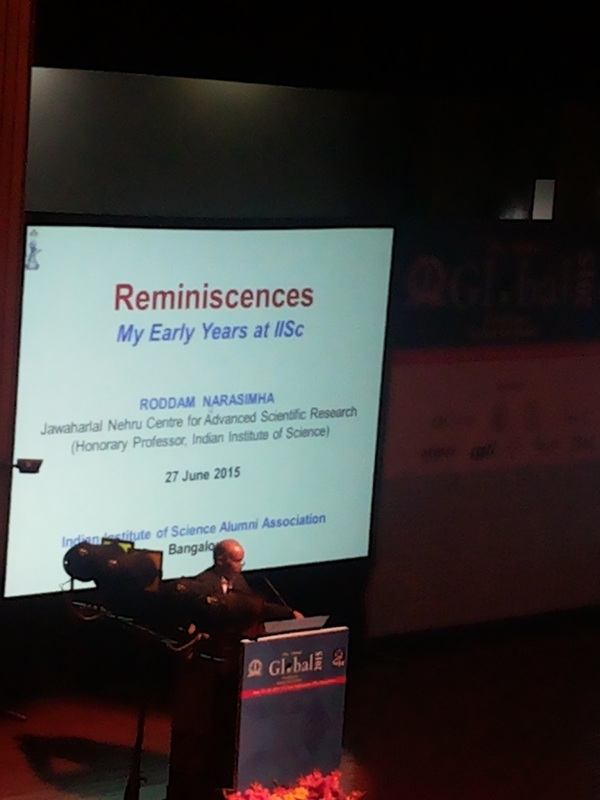 Prof Roddam Narasimha, one of the leading Indian scientists, and IISc alumnus, spoke about his association with IISc which has lasted more fifty years. “I visited IISc for the first time in 1951, and saw an aircraft parked under a tree. I touched it, and found it beautifully curved. I immediately decided to study aeronautics”, he said, while explaining his fascination with airplanes. He showed a lot of old photographs, and recalled a number of people who made a big difference to his own life and aeronautics in India. Speaking about Prof Satish Dhawan, he said, “He was a remarkable person in many different ways. He was different from others”. Prof S Ranganathan, who worked on metallurgy in IISc, recalled his undergraduate days in the Institute. “In those days, we got the undergraduate degree in two years, and at the end, we had to give a lecture”, he said. He also proudly said that the foundation stone to the building of Department of Metallurgy was laid by none other than Sir M Vishveshwariah. His first visit to IISc was in 1961, to attend the Gandhi Memorial Lecture given by Sir C V Raman, in which Raman spoke about diamonds.